Jennifer Galloway - For the Industry. By the Industry. Jennifer Galloway’s practice is dedicated to helping financial services clients successfully navigate increasingly complex regulatory and business environments. She focuses on consumer financial services laws and regulations affecting banks, non-depository banks and other financial institutions. Jennifer provides skilled regulatory guidance and detailed knowledge of the laws impacting the alternative financial services market, such as online consumer lending. 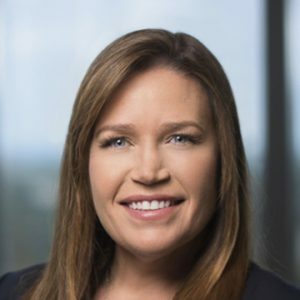 Her compliance work includes assisting clients with developing, implementing and maintaining compliance management systems, performing internal compliance audits for clients, preparing clients for outside audits as well as preparing related lending documents and disclosures. She also counsels financial services companies regarding CFPB preparedness, implementation and operational strategies for complying with the CFPB’s regulations. Jennifer is an active member of the Online Lenders Alliance, the Consumer Financial Services Committee of the American Bar Association, and the Short-Term Lending Bar Association. She has presented at several industry conferences on a diverse range of regulatory topics.